There may be nothing better than watching your children grow up and if your child will soon be turning yet another year older it may be fun to do something special for him or her. From throwing a fabulous party to inviting family over for a fun day, there is plenty to do when it comes to making a birthday special for young kids. A great way to surprise a child on his or her birthday is to throw the kid a surprise birthday party. Make sure to invite all of his or her friends and decorate the house or a function space with a theme he or she will love. For boys a sports theme may work best, while a tea party-style gathering may be perfect for your little girl. Since most children around the nation recently had to go back to school, many youngsters will be celebrating their birthdays during school hours. Make the day a bit more bright for your son or daughter by having birthday flowers delivered to the front office. 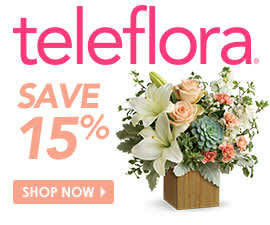 An arrangement like Your Special Day by Teleflora may be perfect for your daughter. This collection of lavender mums, pink hydrangea, white waxflower and button mums are sculpted into a round "cake" that is topped with actual birthday candles – the flowers are sure to be the talk of the classroom.